‘The Way, The Truth and The Life’. 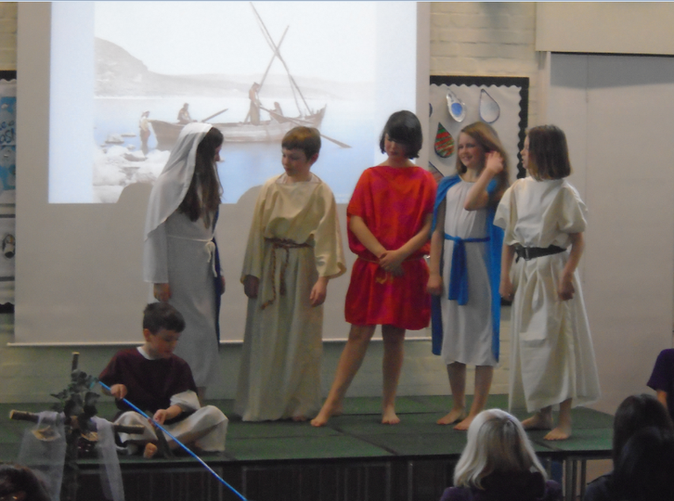 We aim to provide an exciting and creative curriculum across the school for RE. We strive to allow children to reflect upon their own beliefs and be inquisitive about the beliefs of others. Our curriculum incorporates both 'learning about' and 'learning from' religion. 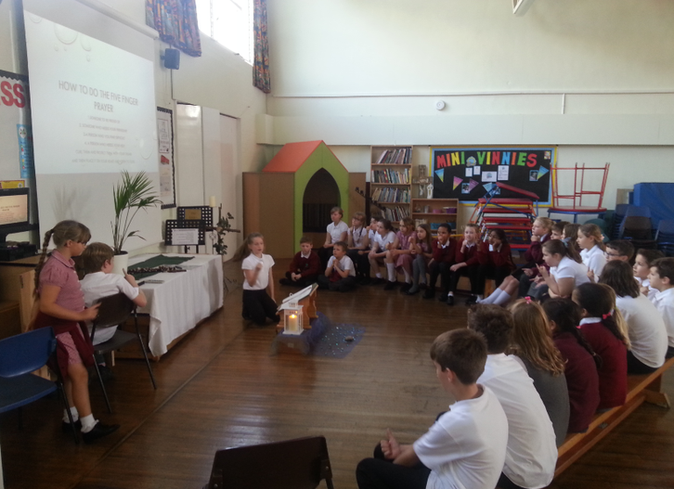 We offer academic challenge alongside time for spiritual reflection with each child gaining experience in planning and delivering their own collective worship sessions. 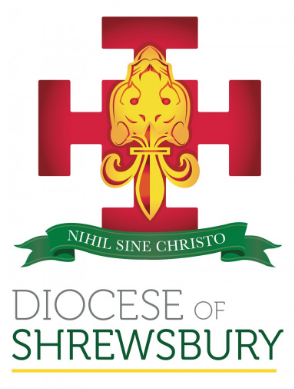 Parents have the right to withdraw their child from Religious Education and Collective Worship but it is anticipated by the Governing Body that those specifically choosing Catholic education will wish to lend their support to maintaining both the full spiritual life of the school and those aims set out in its Mission Statement. Parents who wish to withdraw their child from collective worship and RE should let the school know in writing. For further information as to the schemes of work for RE, please see individual class pages and curriculum plans. message of the Resurrection for us today.